Dawson converted his only field-goal and made his lone extra-point attempt during Sunday's 18-15 win over the 49ers. Analysis: Dawson has now made four of six field-goal attempts in 2018, and he remains a perfect 12-for-12 on extra points. 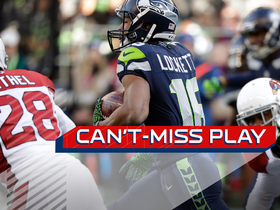 Despite his accuracy, the 41-year-old is off the fantasy radar due to low volume in Arizona's middling offense. He'll look to bounce back after a Week 9 bye. Dawson (hip) is listed as active Sunday versus the 49ers, Darren Urban of the Cardinals' official site reports. Analysis: Dawson surprisingly was included on the Cardinals' injury report Thursday, which was followed by the signing of kicker Matt McCrane to the practice squad Friday as an emergency option. After the Cardinals opted not to make a 53-man transaction before Saturday's deadline, Dawson was more or less expected to be available Week 8. While he has just 20 points to his name in seven games this season, he could bust that trend against San Francisco's 31st-ranked scoring defense (31.1 points per game). Dawson (hip) is expected to be ready for Sunday's game against the 49ers, Darren Urban of the Cardinals' official site reports. 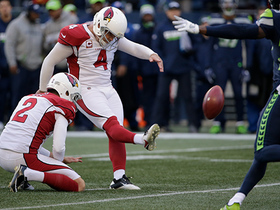 Analysis: The Cardinals signed kicker Matthew McCrane to the practice squad Friday, but opted not to sign him to the 53-man roster prior to Saturday's transaction deadline. The veteran kicker is still officially considered questionable, but appears to be on track to play against San Francisco. Dawson (hip) returned to practice Friday as a limited participant and is listed as questionable for Sunday's game against the 49ers, Darren Urban of the Cardinals' official site reports. 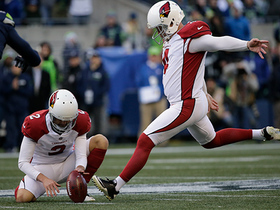 Analysis: There's apparently some level of concern about Dawson missing the contest, as the Cardinals signed kicker Matthew McCrane to their practice squad Friday, per Kyle Odegard of the Cardinals' official site. A promotion to the active roster before Sunday would suggest Dawson isn't on track to play. Whatever the case, there's little reason for fantasy owners to start a kicker attached to an offense playing this poorly. Dawson didn't practice Thursday due to a right hip injury, Darren Urban of the Cardinals' official site reports. Analysis: According to Scott Bordow of The Athletic, the Cardinals hosted Zane Gonzalez for a workout this week. If Dawson's absence is more than a day of rest, the 43-year-old could be in danger of missing some time. Expect Friday's injury report to impart Dawson's potential to play Sunday against the 49ers. Dawson converted his lone field-goal and extra-point attempt in Thursday's 45-10 loss to the Broncos. 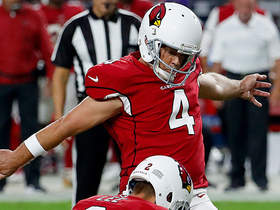 Analysis: Dawson got off to a solid start with a 43-yard field goal in the first quarter, but the Cardinals offense found little breathing room most of the evening. 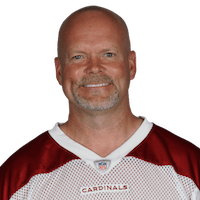 The 43-year-old has made three of five field-goal attempts and all 11 extra points through the first seven games, but his scoring opportunities remain minimal due to Arizona's struggling offense. Dawson made his only field-goal attempt and both his extra-point tries in Sunday's 27-17 loss to the Vikings. Analysis: Dawson converted from 26 yards on his lone field-goal effort. The 43-year-old is only averaging two points per game amid Arizona's rough offensive start to the season. Dawson did not attempt a field goal during Sunday's 28-18 win over the 49ers, but the veteran did knock through each of his four extra-point attempts. Analysis: The chances have come far and few between for Dawson, who ranked 34th in the NFL in attempts entering Sunday's contest. It's good to see him perfect following last week's two-miss performance, but Dawson's value has taken a hit due to his marginal usage thus far in 2018. Dawson went 1-for-3 on field-goal attempts and 2-for-2 on extra-point attempts in Sunday's loss to the Seahawks. Analysis: Dawson missed two field games in a game for the first time since December 2016. The veteran pulled both a 50-yard and 45-yard attempt wide right. He'll look to bounce back Sunday against the 49ers. Dawson connected on each of his two extra-point attempts during Sunday's 16-14 loss to Chicago. Analysis: The veteran was held without a kicking attempt in Weeks 2 and 3, so it's nice to see his leg still works following the dead period. The Cardinals offense has been a bit out of sorts, which has affected Dawson's fantasy value. Maybe the switch to rookie signal caller Josh Rosen will change the status quo in the desert and help Dawson get some added chances. Dawson was not called upon for the second consecutive week during Sunday's 34-0 loss to the Rams. Analysis: The Cardinals offensive ineptitude has had a carryover effect on Dawson's fantasy value. For the second straight week, Dawson was held without a field-goal or extra-point attempt. If the Cardinals can't put themselves in a position to score, Dawson's value will continue to falter. 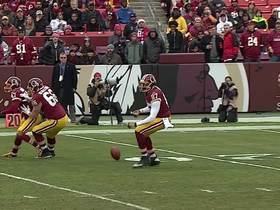 Dawson did not attempt a field goal or an extra point in Sunday's 24-6 loss to the Redskins. Analysis: Dawson fell victim to the Cardinals offense struggling to move the ball. When the team finally found the end zone in the fourth quarter, the lopsided scoreline forced them to try a two-point conversion instead of trotting Dawson out for an extra point. The veteran will hope to be more involved this Sunday versus the Rams. Dawson has made all four extra-point attempts and one of two field goals through two preseason games. Dawson will compete with undrafted rookie Matt McCrane for the Cardinals' placekicking job during training camp, Kyle Odegard of the team's official site reports. Dawson nailed 32 of 40 field-goal attempts and 23 of 26 extra-point tries during the 2017 season. 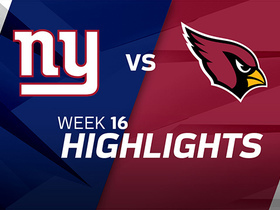 Dawson made a 21-yard field goal but missed one of his three extra-point tries in Sunday's 23-0 win over the Giants. Analysis: Dawson now sports 105 points in advance of Sunday's season finale against the Seahawks. Dawson made field goals from 40, 35, 19, 34 and 32 yards in Sunday's 20-15 loss to the Redskins. Analysis: Dawson was the only Cardinal to score Sunday, marking the second straight game that's happened. While that reflects poorly on Arizona's offensive efficiency, Dawson's 15 points set a new season high. Thanks to a surge of 44 points over his last four outings, Dawson now sports an even 100 points this season. Dawson made field goals from 47, 23, 32 and 35 yards but missed a 40-yard attempt in Sunday's 12-7 win over the Titans. Analysis: Dawson's involvement was limited to field-goal tries, but the veteran still did fairly well for him, posting his fourth double-digit performance of the season. Although he missed a kick in the process, Dawson was the only Cardinal to score in Sunday's victory. Dawson made a 54-yard field goal and had a 45-yard attempt blocked in Sunday's 32-16 loss to the Rams. He also missed one of his two extra-point tries en route to just four points. Analysis: Dawson has now drilled a kick from 50-plus yards in back-to-back outings, but his misses Sunday left room for improvement. Besides his season-high 13 points in Week 11, Dawson has gone for fewer than five points in three of Arizona's last four games. Dawson converted all four of his field-goal attempts and his only extra-point try en route to 13 points in Sunday's 27-24 win over the Jaguars. 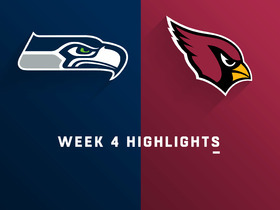 Analysis: Dawson's season-high outing was highlighted by a 57-yarder that clinched the Cardinals' victory with one second remaining. That make marked a career-long for the 42-year-old, sending him into next Sunday's meeting with the Rams on a high note. Dawson did not attempt a field goal but made all three of his extra points in Sunday's 31-21 loss to the Texans. Analysis: Dawson has attempted more than one field goal in just one of his last six outings, limiting his production to mostly extra points. With a matchup against Jacksonville's top-ranked defense this Sunday, the 42-year-old's scoring opportunities figure to remain restricted. 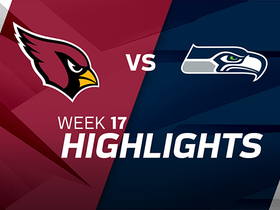 Dawson hit a 43-yard field goal in Thursday's 22-16 loss to the Seahawks, but he missed one of two extra-point attempts. Analysis: This was Dawson's first missed extra point of the season, and it's the third consecutive week he missed a kick of some sort. 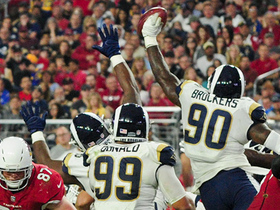 The veteran also missed field goals against the Rams and 49ers in the two previous contests. Dawson's inaccuracy isn't solely responsible for the Cardinals' loss, but if his inconsistency persists, there's reason to worry about his long-term value. Dawson converted two of his three field-goal attempts and both of his extra-point tries en route to eight points in Sunday's 20-10 win over the 49ers. Analysis: Dawson missed a 38-yarder on Arizona's opening drive, but later made good on back-to-back drives to start the fourth quarter. Having missed a field goal in all but two games thus far, Dawson sits on just 49 points through eight outings.